I've been homeschooling for three years now, but in many ways I feel more like a new homeschool parent than a veteran that has all the answers (do we ever feel like we have the answers?) 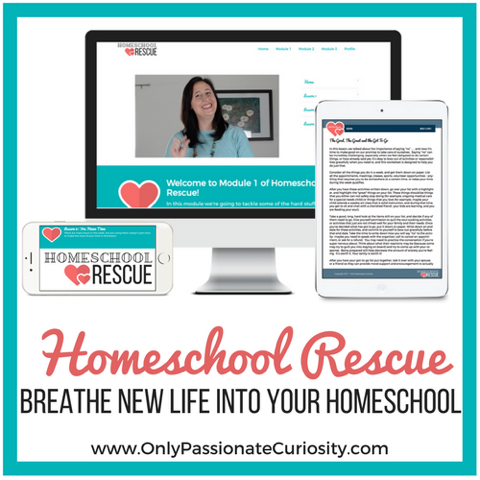 I still crave guidance, so I am excited to share with you a new homeschool parent resource I was fortunate enough to review from Only Passionate Curiosity called Homeschool Rescue. It seems like when people find out I homeschool, they assume that I have infinite patience and and twenty different ways to tackle every issue, and they're quick to assure me that I must be Super Mom, because they could never. I feel so pressured to LOVE MY LIFE EVERY DAY and feel TOTALLY confident, because I chose this life, right? When they ask if we like homeschooling, I usually tell them that it's just like anything else in life - you have days where you love it and can't imagine a better life, and days when you want to tear your hair out, pack your kids into the car, and drop them at the closest school you can find, because legally, they'd have to take them, right? People always look shocked at that - how can something I chose cause such doubt and exhaustion? The good days do outnumber the rough ones, but the rough ones can make you question everything. 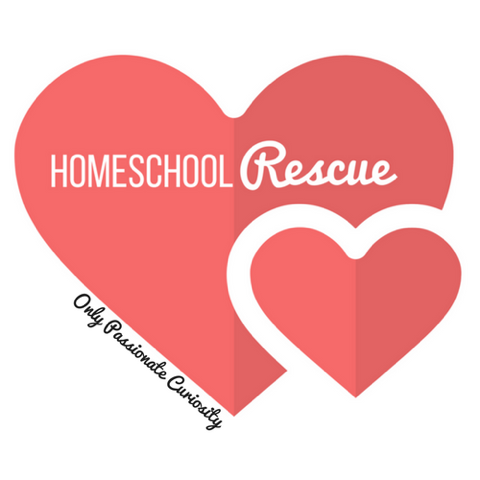 Homeschool Rescue is a self-paced online course for parents that will help you get - and keep - your homeschool on track, even through those tough spots. You'll be forced to take a hard and honest look at your trouble spots, and then come up with a strategy to smooth them out. Sure, sometimes the problem is the kids, but more often than not, it's me, and I'm the one who is setting us up for a less than successful day. And once you know what the real issue is, it's much easier to find a solution. Homeschool Rescue consists of online videos, homework assignments, and a private Facebook group. I know Facebook groups can be a breeding ground for time wasting chatter and drama, but the right groups are a safe haven to talk to others who are in your situation, and that's what this one is. It is nice to be surrounded by other homeschool parents that are either going through the same thing or have completed the course. You can ask questions, you can get opinions, and you can bounce ideas off of others who actually know what you may be going through. Heather created this group to be a judgment-free zone, so you don’t need to worry about posting. You will get nothing but support. Once I started the course, I was introduced to the five modules, each broken down into very manageable tasks. Sixty days is recommended, but the craziness of life got me started a bit later than I wanted and I worried I'd have trouble. However, I realized that this actually worked better for me. When I stretch something out, I tend to lose my drive and eventually peter out. I like to keep my mind focused, so I condensed a bit since that's how I work best. Another mom might want to stretch the program out and go even more slowly. Just like homeschooling, you adapt to your learning style. 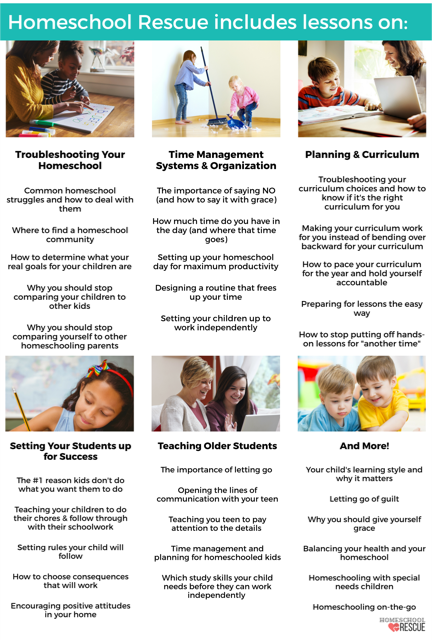 Module 1 has you take an honest look at your homeschooling life. What's working and what isn't? More importantly, you look at the why. Is it distraction? Comparison? Time? You take a real look at your situation. Module 2 is all about time management and organization. I've written before about what I'd like to be versus what I actually am, and how I always shoot myself in the foot, never getting started because I'm always trying to get to some ideal place before I start. Heather gives you ideas for getting started with good routines NOW. Module 3 looks at curriculum decisions and your school environments. Are you setting yourself up for success? 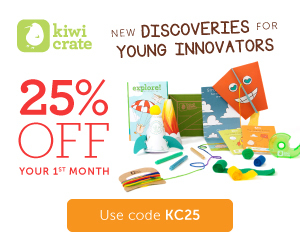 Module 4 looks at your kids - your students! Heather helps you discover their strengths, weaknesses, and learning styles. She has systems and suggestions for positive reinforcement and ways to help them succeed. I liked that I could download the audio and the transcript. I love listening in the car, and it was neat to have that option. Module 5 had me looking into the future. Madison is just finishing up first grade, so when I think about homeschooling teens, I get nervous. There wasn't a real need for me to go too deeply into this particular area now, but it's important to know where we're headed. 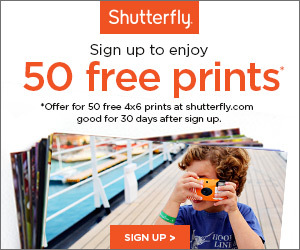 Right now, my favorite pieces are the videos and the printables. I've been downloading the audio to my phone and listening when I'm in the car alone, and it's like someone is there, giving me a pep talk. And I've been loving the printables, especially the planners. I love planning with paper and pen, and the layout of these is something I really enjoy. 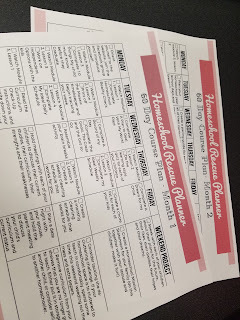 Honestly, I think every homeschooling parent can benefit from using Homeschool Rescue. New homeschoolers can set themselves up for success, and veteran parents can find fixes for any issues that inevitably crop up. It is a resource that I am very thankful that I have available to me. Sign ups open a few times a year, and they're open now until the end of May. 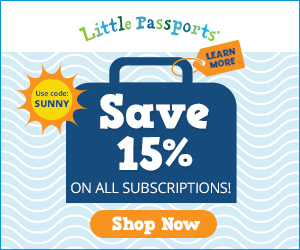 Once you sign up, you have lifetime access to all the videos and lessons, as well as printables, resources, links, the Facebook group, and personal email support. I love hearing what others had to say! Every homeschool mom may have her own struggles from time to time, but going it through it together is such a help.